The newly issued stamps are available at the post office and I plan to go buy some tomorrow. Artbiz Coach, Alyson B. Stanfield gives some resources on her blog if you want to acquaint yourself with the quiltmakers.
" The American Treasures stamp series is intended to showcase beautiful works of American fine art and crafts. For the 2006 issuance, art director Derry Noyes chose photographs of ten quilts created between circa 1940 and 2001 by African-American women in Gee's Bend, Alabama. Noted for their unexpected color combinations, bold patterns, and improvised designs, the quilts of Gee's Bend are also remarkable for the humble materials with which they are made and the humbler circumstances in which they are born. Until recently, necessity limited the quilters to fabric from everyday items such as flour sacks, old dresses, and worn-out denim and flannel work clothes. Stains, mended holes and tears, faded patches, and seams all became integral parts of a quilt's design and ensured that the materials, as well as the quilts, told the story of Gee's Bend. Today outside interest in the quilts of Gee's Bend is growing. Art historian William Arnett and his son Matt began collecting the quilts in 1997. Their collection-which has been exhibited in museums around the U.S.-resides with Tinwood Alliance, a nonprofit foundation in Atlanta, Georgia, that supports African-American vernacular art. The renewed attention has had a positive social and economic impact on the lives of the quilters and other residents of Gee's Bend. In 2003 the women of Gee's Bend, with the help of Tinwood Alliance, formed the Gee's Bend Quilters Collective. The American Treasures stamp series was inaugurated in 2001 with the Amish Quilts stamp pane. The 2002, 2003, and 2004 issuances featured artwork by John James Audubon, Mary Cassatt, and Martin Johnson Heade, respectively. In 2005, the theme returned to textiles with the issuance of the New Mexico Rio Grande blankets." 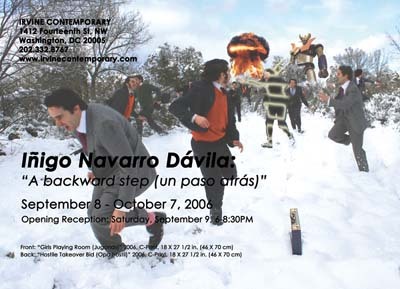 Pulse 2006 is the second of two related exhibitions featuring works by artists from the Washington DC area and Mid-Atlantic region. This group exhibition features works by International Arts & Artists’ Hillyer Art Space artists advisory committee, some of the region’s most celebrated and respected artists. Hillyer Art Space is funded in part by: the DC Commission on the Arts and Humanities, an agency supported in part by the National Endowment for the Arts, with additional support from La Tomate, Mourayo, Hank’s Oyster Bar, and Pesce. Donny George, the head of Iraq's State Board of Antiquities and Heritiage and the Director of the Baghdad Museum, has resigned his post and fled. Tyler Green reports on the status of antiquities in Iraq on Modern Art Notes (Click title). Catalogue Published. Essays by Jonathan Binstock and Martin Irvine. Artist James W. Bailey reminisces of Pre-Katrina New Orleans. Read his philosophical sashaying here at his Black Cat Bone blog. WHEN: August 28th at 6:30PM to 9:30PM. If you would like to order food and drink, please arrive when the doors open at 6:30. Screening begins promptly at 7:30. "Rebuilding New Orleans. "Tuesday at 8 p.m., Discovery Times. This special's recovery time line starts at approximately Mardi Gras. Telling our biggest story through the accumulated power of many smaller stories, this might be the best-balanced and most thorough post-K documentary of the anniversary season so far. Shoe Art Exhibitby Girls Gotta Run Foundation, Inc.
“Lines and Shapes.”Emery Lewis's abstract paintings and drawings reflect his need to document the world as he sees it through the use of experimental tones, line, bold gesture, and subtle color. Some inevitable illusion to the human figure, either in whole or in part, is a very critical component. He uses this illusion to create his own unique forms that suggest a particular emotional state. Often, his oeuvre has religious and spiritual meanings. Primarily through acrylics, charcoal, and crayons, Lewis can achieve an enormous range of expression. His paintings are often mysterious and haunting, and sometimes even disturbing. He says “pushing the limits,” that is what he is all about; using various media in non-traditional ways. In his artistic process, he first builds up his painting surface with random lines and shapes that slowly accumulate until the painting itself begins to “dictate” its own direction and evolution. Most often, the final form is amorphous. Rarely are his images literal. It is an organic journey for him from beginning to emotional finish. But do not be mistaken, his moody voice is uniquely his own, painterly sculptured in lines and shapes and color. 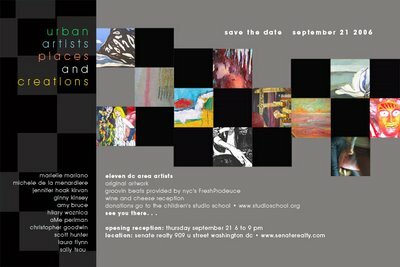 Opening Reception: Friday, September 8, 6:00 p.m. - 8:30 p.m.
3rd Thursday Gallery Walk: September 21, 6:00 p.m. - 8:00 p.m.
Street parking is difficult to find in Downtown Washington, D.C. There are several garages near the gallery. Fees average $15.00 - $20.00 per day. It's best to take Metro. Click here or on the map to see a larger version. Yellow & Green line Archives/Navy Memorial - Walk up 7th Street to 406. Gallery is on left. Red line Gallery Place/Chinatown - Exit station at 7th & F Streets, NW Walk down 7th towards D St. to 406 7th St.
Sign up for the tour by clicking this link: http://guest.cvent.com/EVENTS/Info/Invitation.aspx?e=ade6f943-49b0-4c3d-b1e1-f24172a19432 or by logging on the http://www.aiadc.com/ and clicking the blue AW (Architecture Week) logo. "The founder of the Freer Gallery of Art, Charles Lang Freer (1854–1919), is best known as a pioneering western collector of Asian art, but when Freer started to buy art he began with contemporary American paintings and works on paper. Most of the major works that Freer acquired during his first 12 years as a collector, 1884–1896, were images of beautiful women by James McNeill Whistler (1834–1903), Thomas Wilmer Dewing (1851–1938) or Abbott Handerson Thayer (1849–1921). This exhibition will bring together 21 of the most beautiful paintings that Freer ever acquired in order to explore some of the meanings these representations of beautiful women would have had for the artists who created them, for contemporary viewers, and for Freer. In addition to oil paintings by Whistler, the exhibition will feature several major paintings by Thayer and a large selection of exceptionally beautiful but rarely shown oil paintings by Dewing." Hours are from 10 AM to 5:30 PM every day except Dec. 25, and admission is free. $12 for adults, $10 for visitors 62 and over and students. No charge for visitors 18 and under or Museum Members. Will the boom ever end? Rich buyers are shelling out large sums for art. But is a crash imminent? Come join the fun at Arts on Foot 2006, the 14th annual celebration of the arts in Downtown’s Penn Quarter! "Bologna is a herald of the year of 2006 in the art world, it will be a year of gravity and grace alongside busy sales." turned 40 and will be moving to Denver in September. We host a farewell gathering for Dylan on August 24 from 6-9 pm. Several of Dylan's works will be on display and, to help Dylan with the move, we will be selling posters of his painting "Patient" (the original cover image for his book "The Last Time I Wore a Dress"). Please join us to bid Dylan a fond and memorable farewell. I recently met the young Vietnamese artist, Van Nguyen and was impressed by her poetic paintings. She is one to keep an eye on. The addition of abstract painter extraordinare, Paul Ellis to the mix will make for excellent viewing. I'm looking forward to this Season's opener and hope to see you there. Arlington Arts Center presents REMIX: East - West Currents in Contemporary Art, a survey of recent work demonstrating cross-cultural influences. In this juried exhibition forty-six artists, both Asian and non-Asian, address the interchange of ideas and the intermingling of artistic or cultural influences between Asia and the U.S.
REMIX features 90 artworks in media including drawing, painting, printmaking, collage, sculpture, ceramics, fiber, photography, and installation. Some of the artists included in the exhibition are Kyan Bishop, David Carlson, Paul Ellis, Sharon Fishel, Tai Hwa Goh, Leena Jayaswal, Sunhee Kim Jung, Akiko Kotani, Taek Lee, Sarah Matsumoto, Nitin Mukul, Van Nguyen, Jeffrey Smith, Amy Glengary Yang. Carol Lukitsch, Curator, Arlington Arts Center. Location: Arlington Arts Center, 3550 Wilson Blvd, Arlington, VA 22201. AAC is located between Clarendon and Ballston at the corner of Wilson and Monroe, one block from the Virginia Square Metro station on the Orange Line. 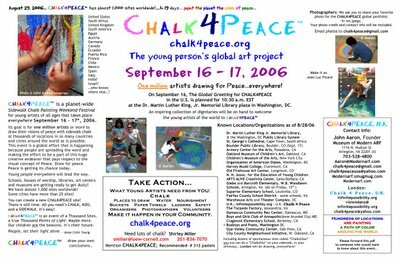 Turning the Page series was developed in the Spring of 2005 as a small curated exhibition to showcase artists featured in the WPA\C 2006-2007 Artist Directory. Primarily, Turning the Page offers WPA\C staff and interns the curatorial opportunity to take a closer look at the diverse artwork featured within the pages of the Artist Directory and allows WPA\C Artist Members to gain increased exposure. Riding on the success of the previous Turning the Page installments, WPA\C has launched an online exhibition for the second time to showcase selected artists. The online exhibition format continues to allow the artwork of featured artists; Mike Lewandowski, Angela White, Zoe Hathaway and Andrea Haffner to be viewed in an easily accessible and lively format. A group exhibition of new work by invited artists and artists represented by the Fraser Gallery. Including photographs by Lee Goodwin, Maxwell MacKenzie and Josh Barash and new paintings by John Aquilino, Sheila Giolitti and Michael Fitts. An opening reception for the artists was held on Friday, August 11 from 6pm - 9pm. Anselm Kiefer (b. Germany, 1945) is widely recognized as one of the most significant artists working today. This exhibition— the first American survey of Kiefer’s work in almost twenty years — includes fifty large paintings, books, and sculptures created between 1969 and the present. The selection emphasizes the layers of meaning in the artist’s work, specifically focusing on his career-long meditation on the relationship between heaven and earth. “This is not an exhibition about religion, but about why we keep looking for heaven and not finding it,” says Michael Auping, chief curator of the Modern Art Museum of Fort Worth and organizer of the exhibition. Kiefer’s images intertwine a complex range of sources, including alchemical treatises; Nordic, Greek, Egyptian, and early Christian mythology; and mystical Jewish texts, often relating such subjects to modern history. Kiefer’s evocative mixes of materials, such as paint, dried plants, clay, ash, and lead are visually fascinating. He paints immense landscapes ranging from lush to barren and panoramas of stars as he seeks to grasp the workings and mysteries of the cosmos. The presentation at the Hirshhorn is coordinated by curator Valerie Fletcher. “Anselm Kiefer: Heaven and Earth” is made possible by the global financial services firm UBS. The exhibition has been organized by the Modern Art Museum of Fort Worth. The United States Mint once again invites artists nationwide to apply for its Artistic Infusion Program to help design American coins and medals. 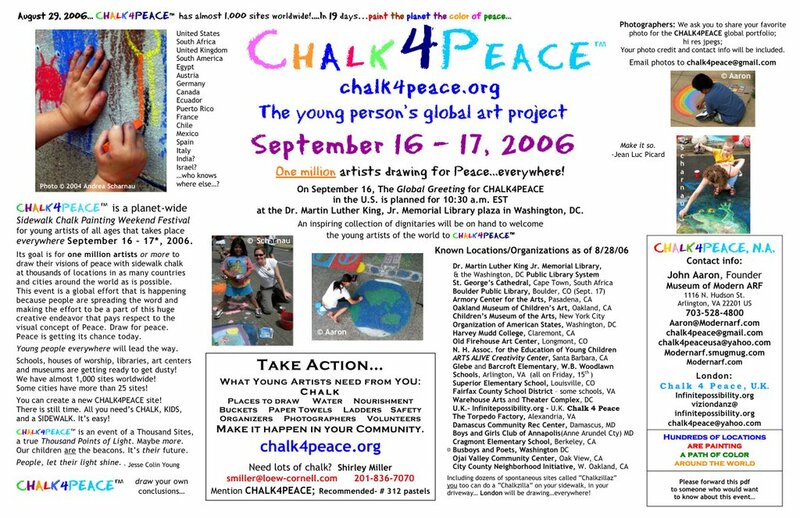 The Artistic Infusion Program was created to enrich and invigorate the design of United States coins and medals by developing a pool of professional artists (Master Designers and Associate Designers) and college and graduate-level art students (Student Designers) in sculpture, engraving, graphic design, drawing and other visual arts, who are invited to create and submit new designs for selected coin and medal programs throughout the year. For the class of 2007, the United States Mint is seeking up to 10 Associate Designers and up to 6 Student Designers, to add to the existing pool of artists. Applications for Associate Designers must be received by September 15, 2006. The Student Designer applications must be received by October 16, 2006. The Creative Capital | Andy Warhol Foundation Arts Writers Grant. The deadline for grant applications is September 18, 2006. Hi there. Looks like we're in for a colorful Fall. CHALK4PEACE is spreading through the world. or directly support the event in the ways we suggest. Encourage your schools, libraries and art centers. 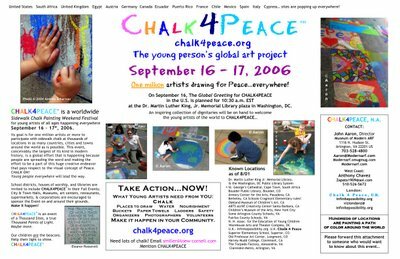 Help our children to paint a path of color around the world. 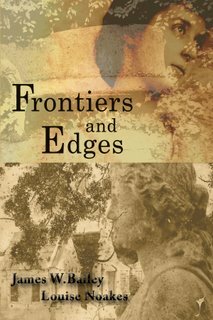 You can read the full press release for “Frontiers and Edges” at Black Cat Bone by clicking here http://blackcatbone.blogspot.com/2006/07/frontiers-and-edges.html#links. James Bailey will feature the largest collection yet exhibited of “Rough Edge Photography” pre-Katrina imagery of New Orleans. Art critic Louis Jacobson of the Washington City Paper previously reviewed “Burnversions" http://burnversions.blogspot.com/, a solo-show from 2005 that featured a collection of these images. The review can be read here http://burnversions.blogspot.com/2006/01/burnversions-included-in-louis.html#links. Most of the images featured in this exhibition will be on tour through 2007/08. 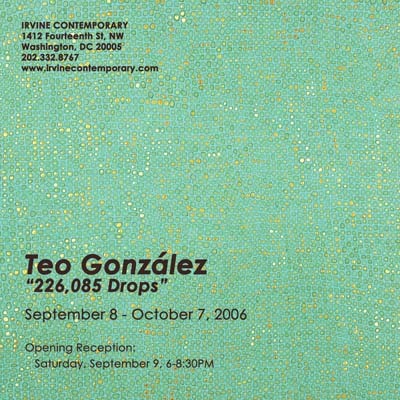 This will be the last opportunity to see many of these works for some time in the metro D.C. area. “31 Days in July” painting project. The Results Gallery is exhibiting artwork by Sadaat Ali, an Afghanistan refugee living in Pakistan, from August 17 – September 7, 2006. A reception for Sadaat will be held on August 17 from 6:30 – 8:00 PM at the Gallery, 315 G Street SE, Washington, DC. All sales of Sadaat’s work will go toward assisting him to immigrate to the United States to pursue his artistic career. We hope you will join Steve Jones, Michael Gordon and Gary Fisher for this event. I'm heading to New Orleans today. Catch you next week. Read today's heartbreaking WaPo article on the slow recoverty in the city. I saw these miles and miles of wrecked homes the last time I visited. Keep cool and while you are at it, check out the August Arts Web Site. Enjoy this month's interview with DC Commission on the Arts and Humanities, Director, Tony Gittens. Artistically Speaking TV with Marilou Donahue. The Dog Days of August are known for being muggy and uncomfortable in Washington, DC, except in MidCity DC on the first weekend of August. During this weekend visitors and residents flock to U Street, 14th Street, P Street, NW, and the surrounding community for hot shopping bargains at over 100 businesses, to relax with ice cool drinks and other specials at sidewalk cafés, and to enjoy festive activities such as bbq's, a dog show and contest, gallery showings, and live music. Stop by and visit the Cultural Toursim DC table.